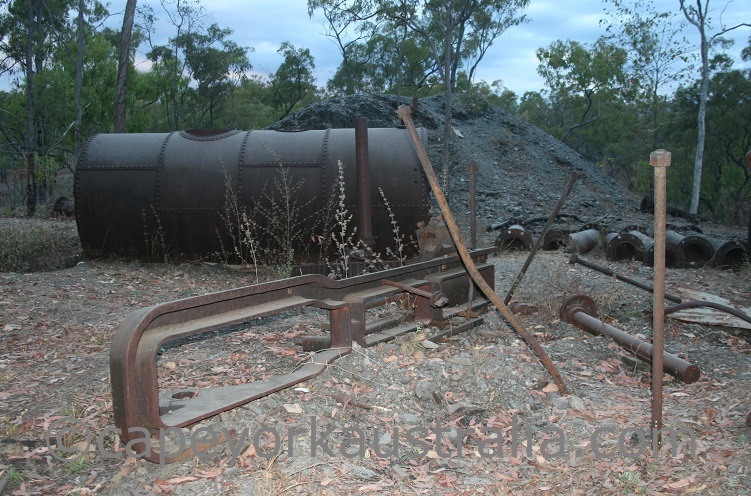 Palmer River Goldfields are worth the side trip if you're into history. 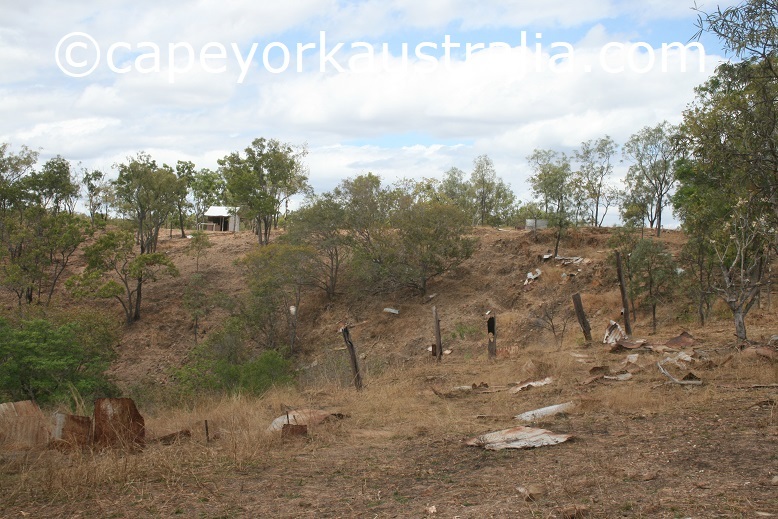 Only an historical site today, in the days of Palmer River gold rush this goldfield was the centre of activity of the whole Cape York peninsula. 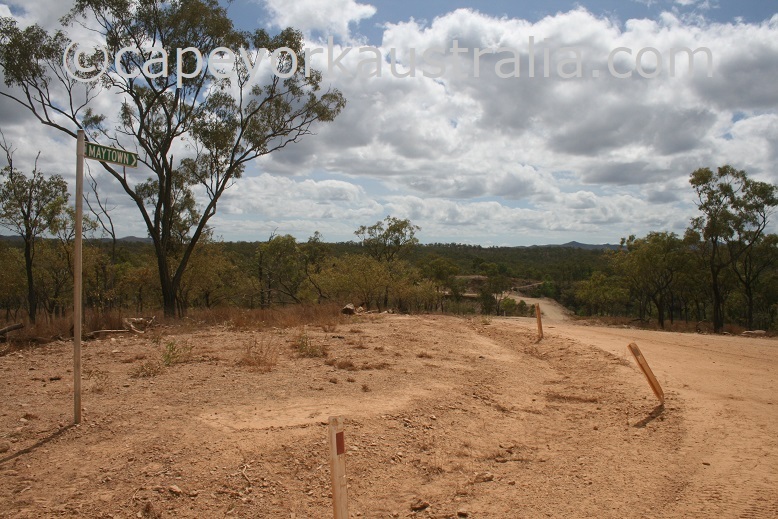 Not only that, it was the richest alluvial goldfield in Australia, and the reason why Cooktown was established - it started out as a port town for the gold from Palmer River. 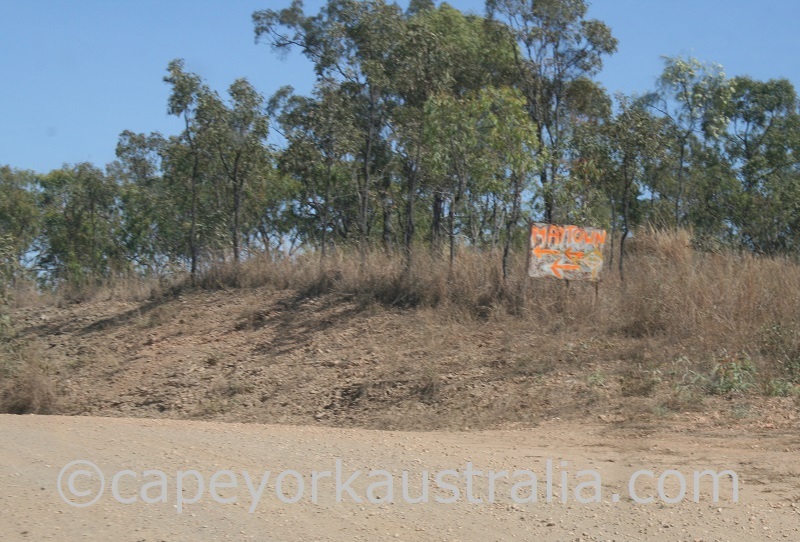 Maytown was the capital of Cape York, and if you are into history and gold rush ghost towns, this is a great place to explore. 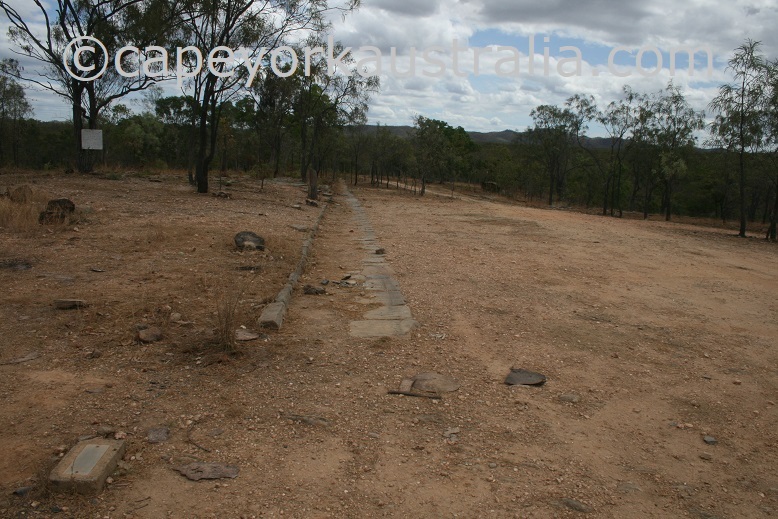 Palmerville was another important place, but today nothing much remains there and being away from the Maytown area is not even worth the drive. 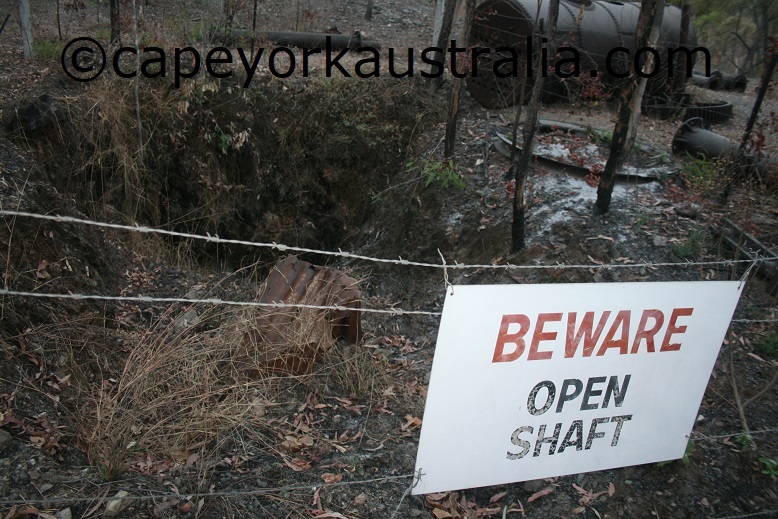 Around Maytown, there are many different groups of mines and mills to discover, depending on how interested you are, you may want to take more than one day. 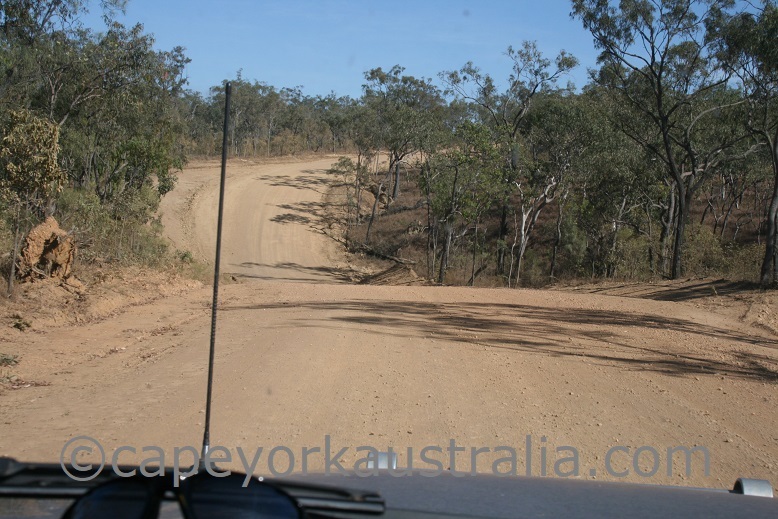 The main road in - the White's Creek Road - is a reasonable gravel road, nothing humpy bumpy and doable in 2WD in dry weather. 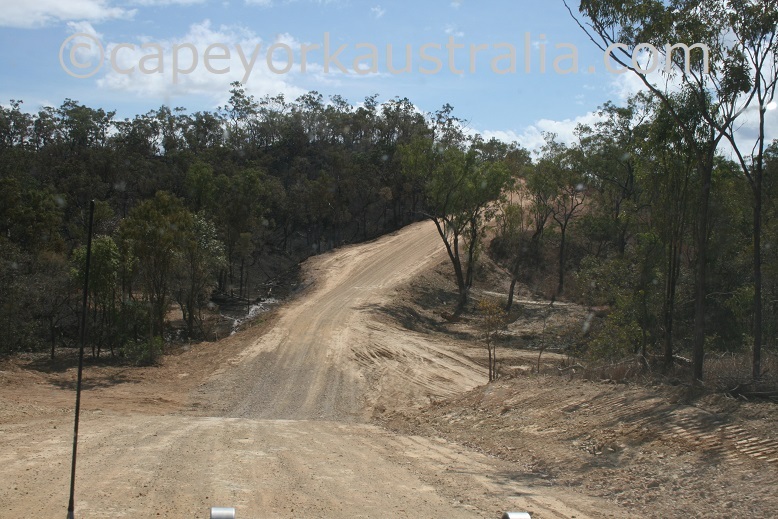 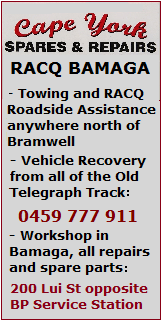 Some of the tracks between the sites are smaller and a 4WD vehicle is recommended. 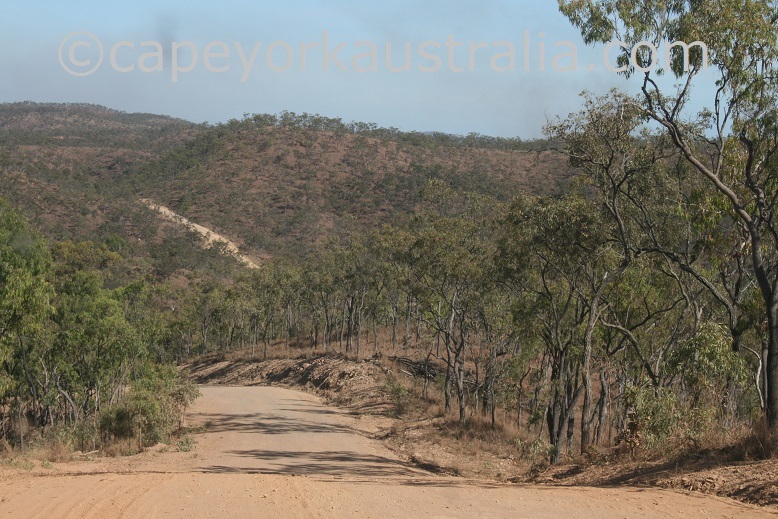 The road from PDR to Maytown is called White's Creek Road, and while there are others, this is the main road to Palmer River Goldfields. 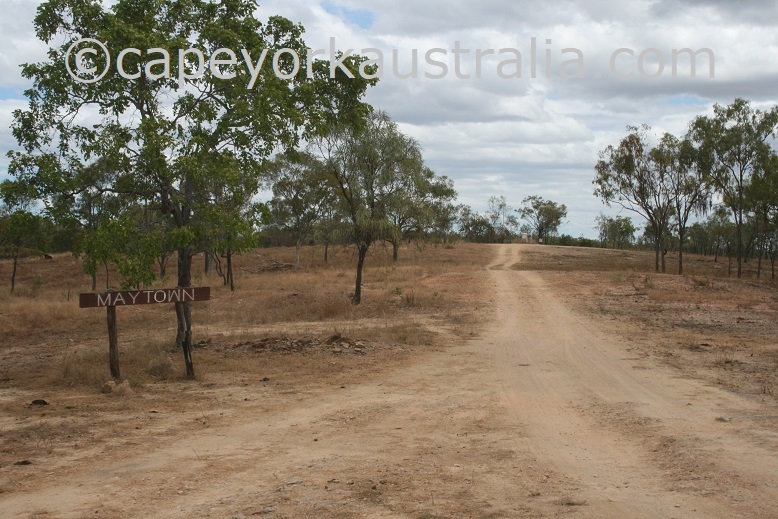 It turns in about 20km south of Palmer River Roadhouse. 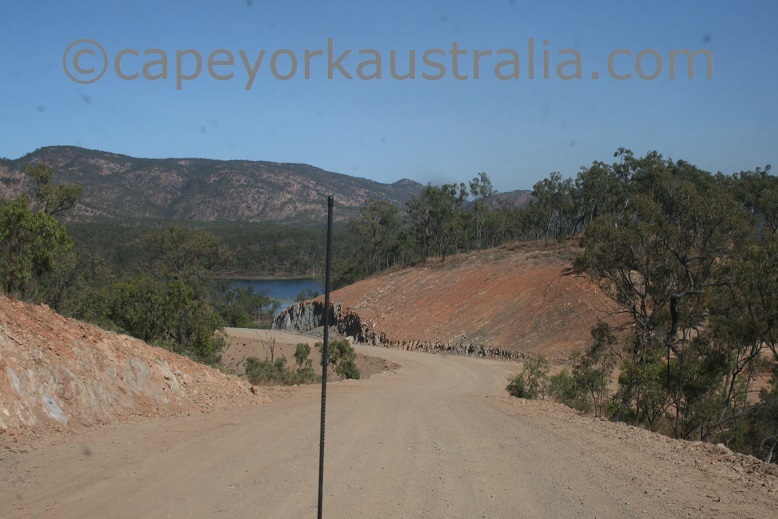 It is a very spectacular road, despite it being dry country and not a green environment late in the dry season. 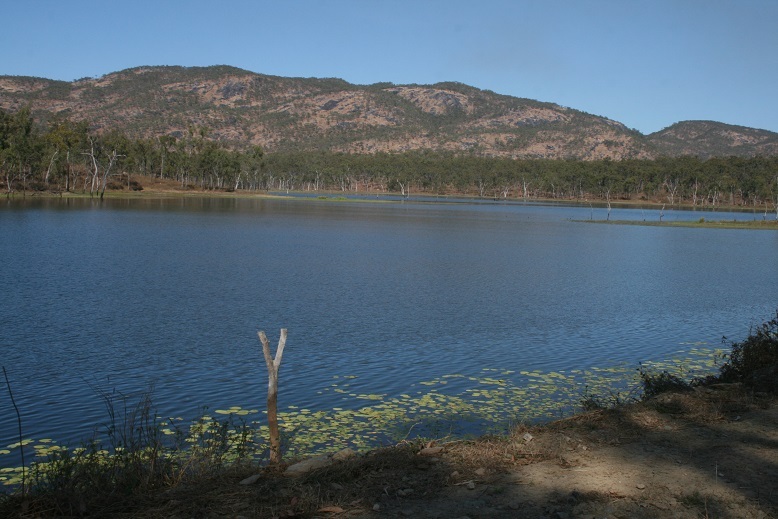 ... and even some water. 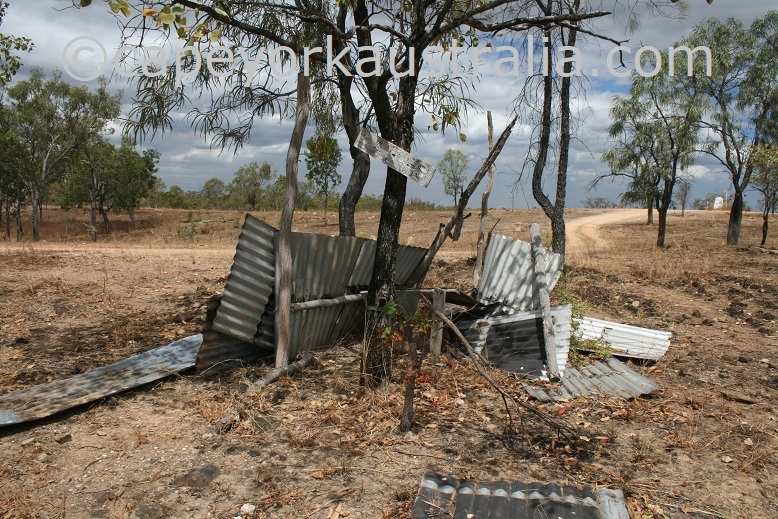 .. but could at times require reasonably high clearance. 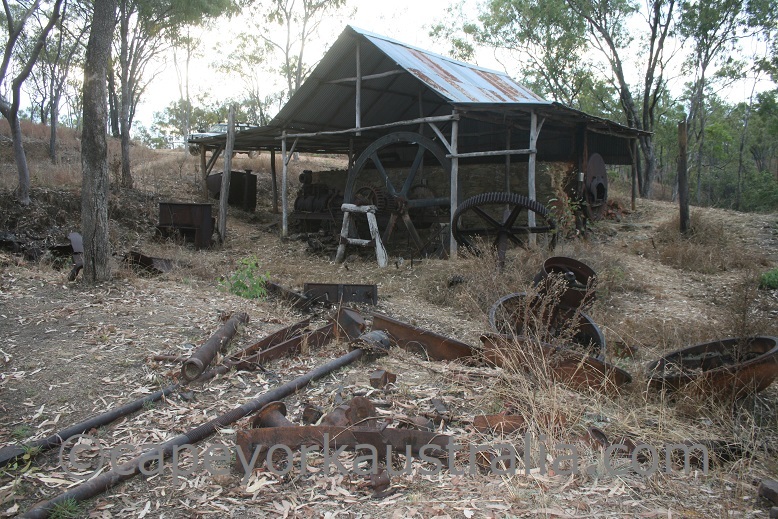 It is not particularly slow going but still takes a good part of a day, so if you want to visit the goldfiels on a day trip you should start early in the morning. 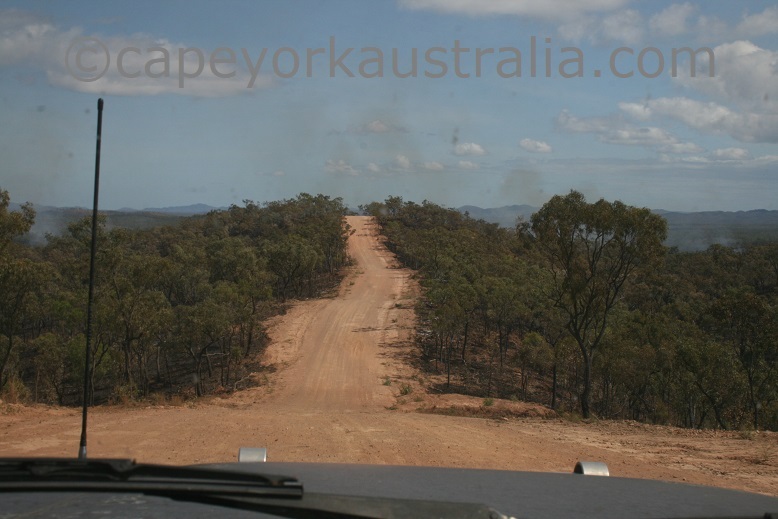 Also during the dry season they are back-burning so there could be grass fires in there. 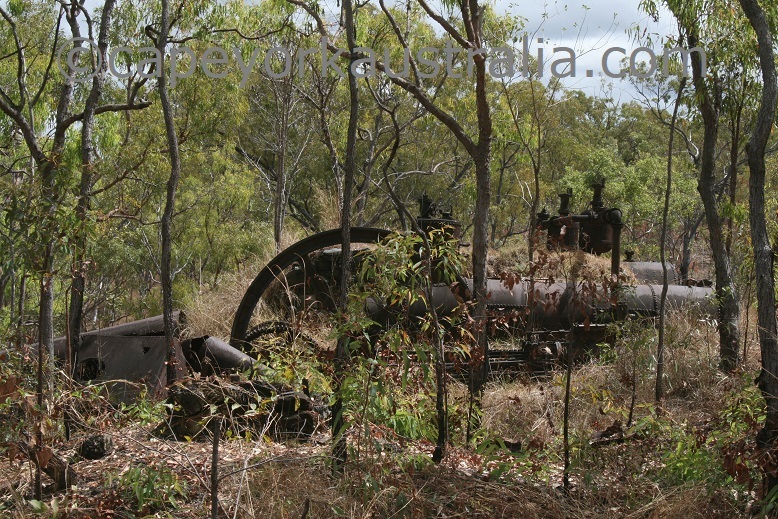 Maytown was the capital of Palmer River Goldfields. 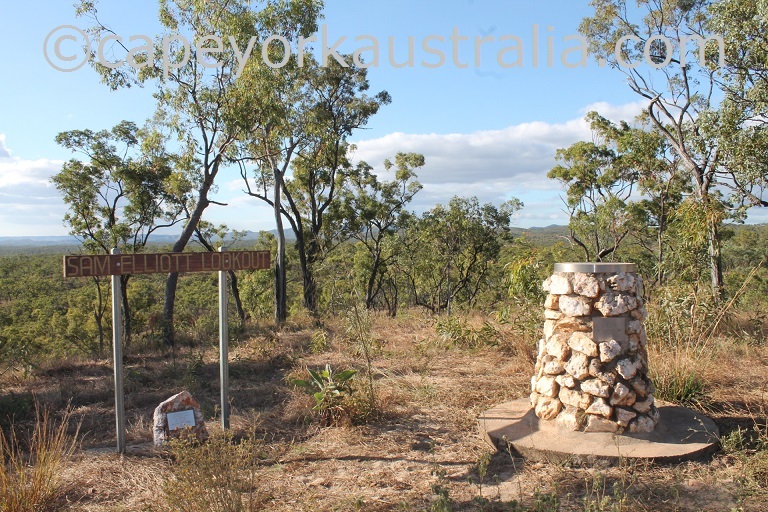 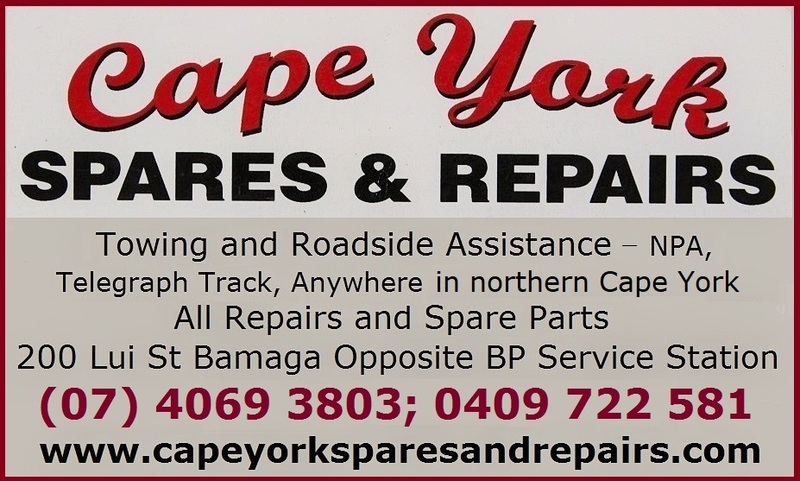 And not only that - it was the capital of Cape York peninsula at the time when the rush was on. 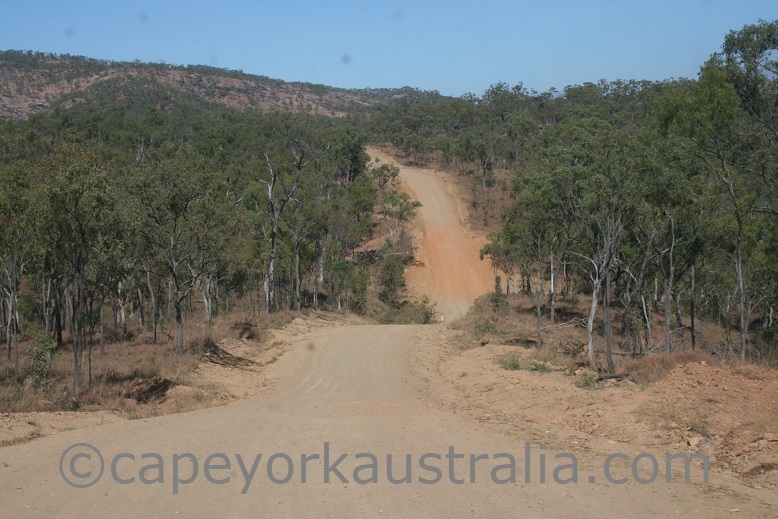 There are a few roads in but the easiest one turns in from PDR south of Palmer River Roadhouse. 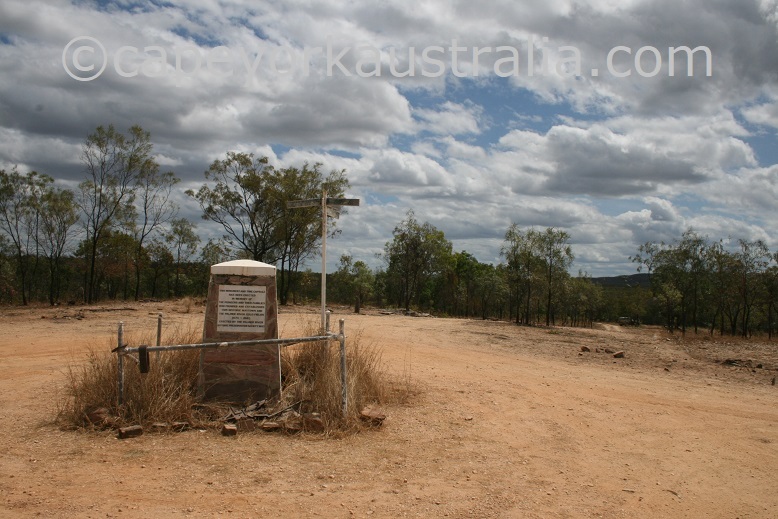 After the drive in you first arrive to the monument in the beginning of the main street. 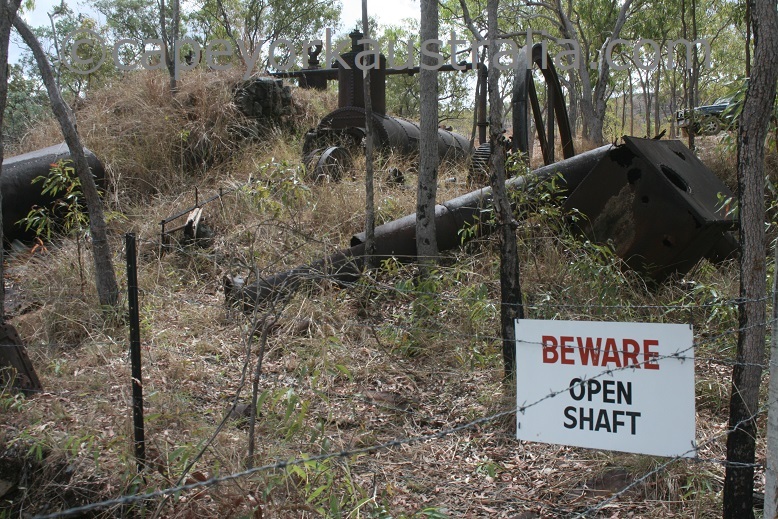 If you walk down along the street, there are signs what stores the ruins are from. 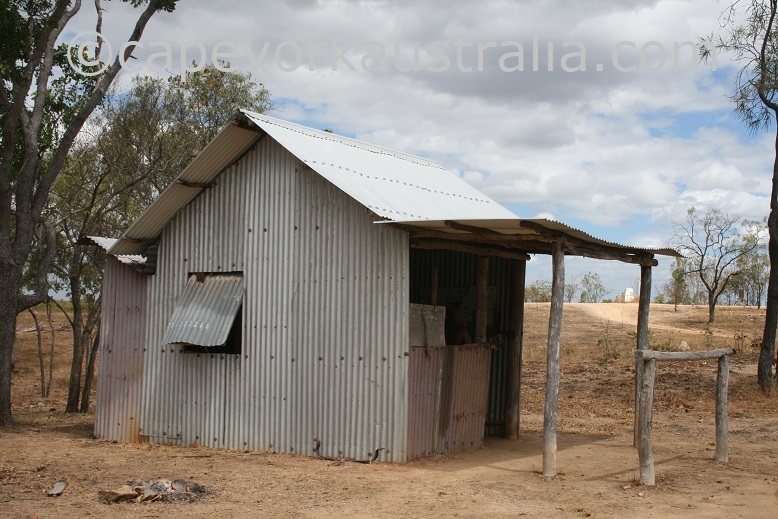 There is also a replica of an old miner's hut, and stumps of a post office, a court house and a police station. 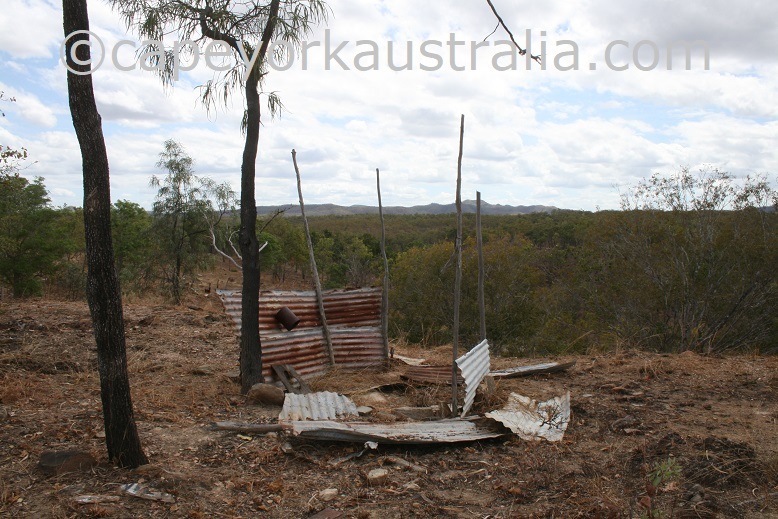 ... and a lot of different ruins around.